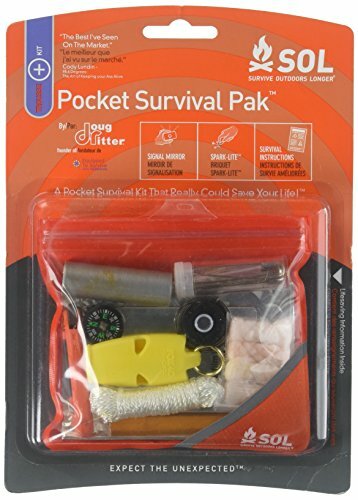 The Best Glide ASE Be Prepared® Pocket Survival Kit is Officially Licensed by the Boy Scouts of America®. 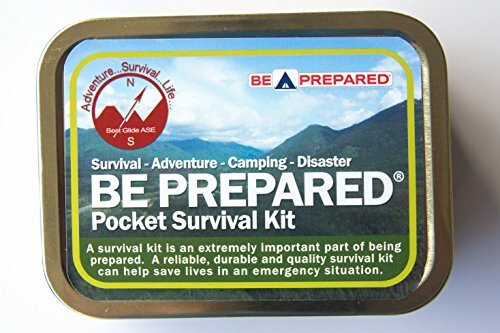 The Best Glide ASE Be Prepared® Pocket Survival Kit is assembled in the USA utilizing a weather/water resistant tin container that includes a rubber seal (inside) and a vinyl tape seal (outside) – it’s not a mints box with hinges. 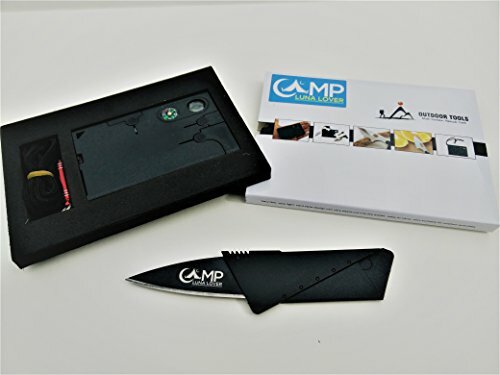 It includes many US Military and/or NATO issued/approved items such as Button Compass, All Weather Matches, Derma Safe Razor Knife, MP1 Water Purification Tablets, Rapid Rescue Survival Whistle, Type 1A Utility Cord, and more. 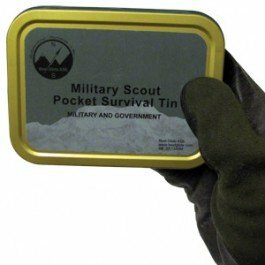 The Best Glide ASE Military Scout Pocket Survival Kit includes numerous genuine U.S. Military Issue/Approved items, NATO Approved items and items made in the USA. Please see below for complete list of contents. 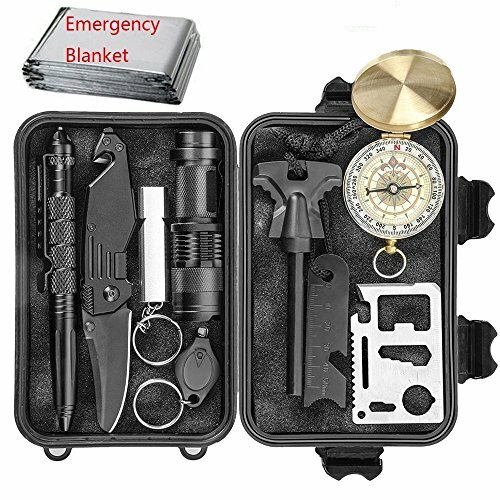 EILIKS 11 in 1 Multi-Purpose Updated Emergency Tactics Kit Containing: flint stone, scraper, flashlight, swiss card, mini light, updated compass, updated tactical military knife, whistle, tungsten steel pen, emergency thermal steel and black sturdy box. 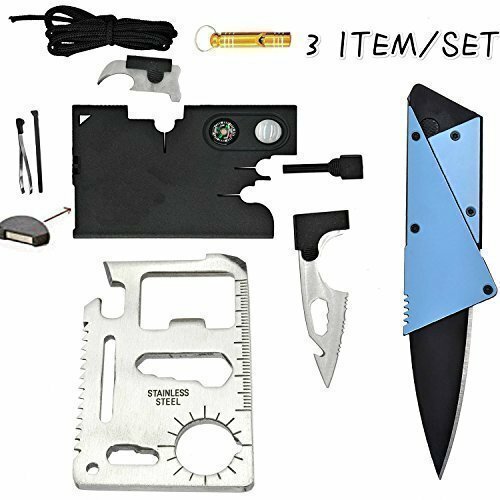 EILIKS Tactics Military Knife: Heavy duty spring assist folding knife, black sharp blade and black aluminum handle, pocket clip for easy and safe carry; Bottle opener, seatbelt cutter and Glass breaker for emergencies. EILIKS Emergency Thermal Blanket: Durable and compact design, non-toxic reusable material, waterproof and windproof, it can retains up 90% of body heat. Unlimited uses: shelter, ground cover, insulation, shade, emergency signal, staying dry in rain. Creates peace of mind, knowing you are prepared for the unexpected. Be the hero that has the pocket knife or bottle opener when others need one. Take 2, one as a gift and one for yourself. 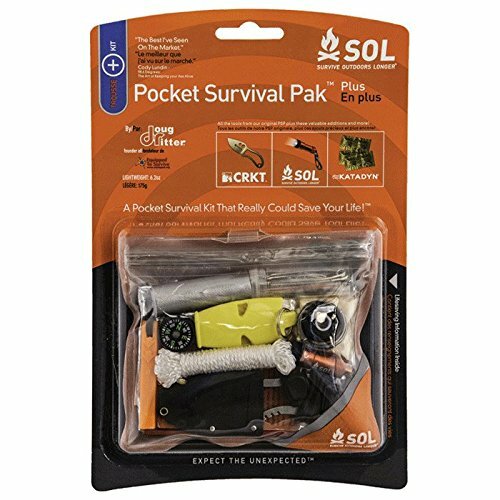 Exclusive Survival Military Holster/ Pouch 42 in 1 >> Get PREPARED and be READY for your next adventure. 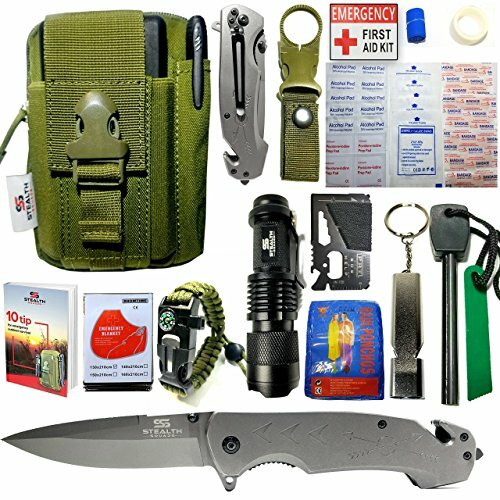 Grab yourself an excellent, great value, customized and approved by US Military Veterans combines emergency supplies, survival gears, first aid kit, EDC tools, all essential for your everyday or emergency use. Come rain or shine! Grab yourself a life saver on the go! Perfect for the your Car, Bike, Backpack, RV, Boat and Home. 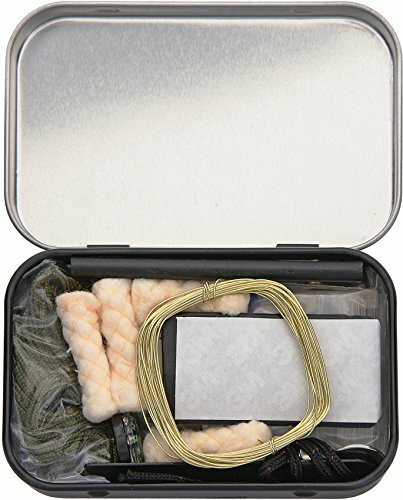 Safety >>Your safety is Stealth Squads #1 priority with over 100’s of uses combined, STEALTH SQUADS All in 1 survival kit can be use for nature hike, wilderness safari, hunting, fishing, bushcraft, camping, traveling adventures, biking, cooking, bug out, alert rescuers, shelter, start a fire, stay warm, stay dry, be safe, and your piece of mind. Get your all in 1 kit and Get PREPARED!!! Compact >> Convenient, portable design for easy carry-on or storage. 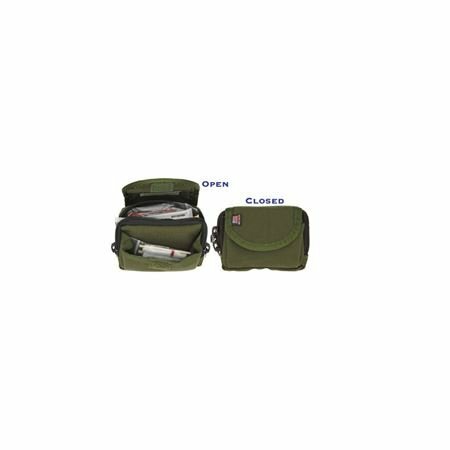 High quality Military Pouch has 6 separate compartment to keep all your gears ORGANIZED: 2 zippered with 2 inner lace compartment, 1 Adjustable Snap-in buckle for your Cell Phones,1 Large pen holder slot, could be easily attach with 2 snap-in belt strap to your hip waist comfortably with easy access. 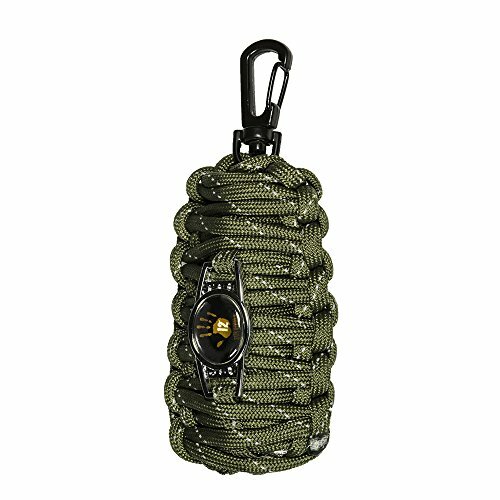 Compatible with FAK or First Aid Kit Molle gear bag and accessories, endless possibility!!! 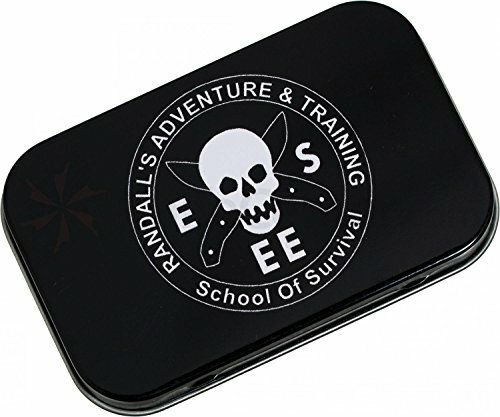 Features the Randall’s Adventure & Training logo on the lid. Dimensions: 3.75 in. x 2.25 in. by 0.75 in.